Happy National Burger Day! | That Yum Factor! May 28th 2015 is National Burger Day and I wanted to take this opportunity to highlight Umami Burger as well as the newly renovated World Financial Center. Umami Burger was founded by CEO Adam Fleischman out on the west coast and it finally made its way to New York City (of course it found its way to New York, haven’t we all?) The establishment is currently located in three locations including Williamsburg (Brooklyn), Greenwich Village (Manhattan), and Brookfield Place (Manhattan). Let’s talk for a second about how amazing Brookfield Place is, which is still also known as the World Financial Center. The entire space underwent a $250 million renovation in the past few years and it looks like it was worth every penny. When you walk through Brookfield Place, there’s eye-catching and unique architectural structures everywhere. It feels… grand! That’s the best way I can describe it. There’s now high-end stores as well as two food courts called Le District and Hudson Eats, which makes you feel you are at the epicenter of Big Apple life. Getting back to Burger Day… one of Umami’s locations is in Brookfield Place at the Hudson Eats food court (located on the second floor.) 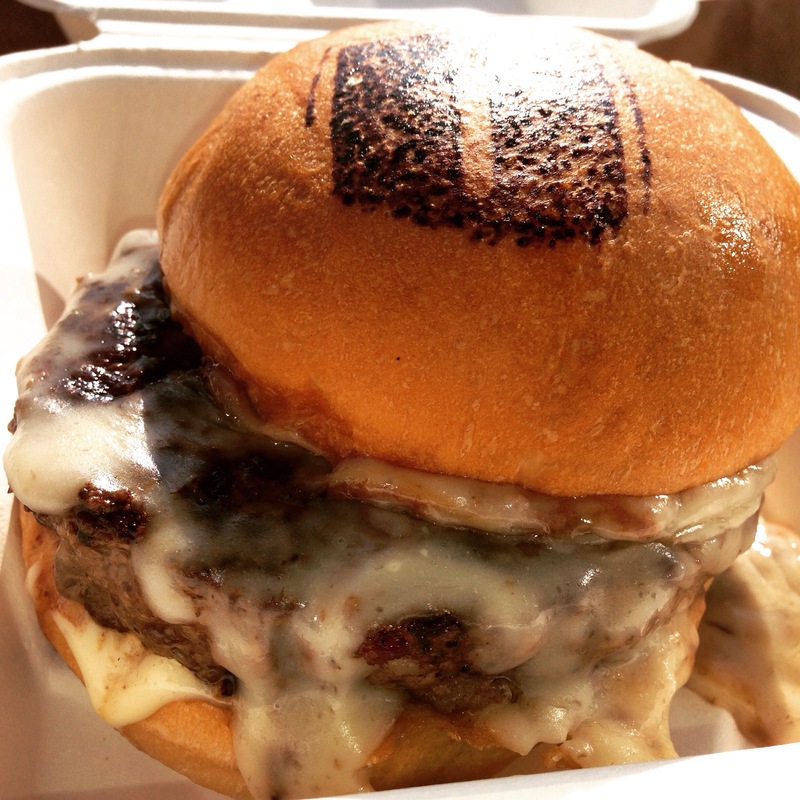 The photo above is showing off Umami’s Truffle Burger. If you absolutely love the taste of truffle, this number has truffled aioli, house truffle cheese, and truffle glaze. All of their selections are delicious, but next time I think I am going to get their “Manly Burger,” which has house beer-cheddar cheese, bacon lardons, smoked-salt onion strings, Umami house ketchup, and mustard spread. *Fun Fact: The definition of UMAMI is “a taste sensation that is meaty or savory and is produced by several amino acids and nucleotides” according to Merriam Webster. Posted in Brooklyn - NY, Manhattan - NY and tagged Brookfield Place, Greenwich Village, Williamsburg on May 28, 2015 by thatyumfactor. ← Feliz Cinco de Mayo!